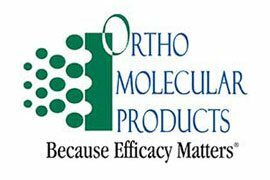 Ortho Molecular Products supplements are formulated according to proven science and with an uncompromising standard of superior raw ingredients. This approach is what separates good supplements from great supplements— products that truly help you get better faster. Order Ortho Molecular Products using the registration code below to gain access. Integrative, Complementary, Alternative, Holistic, Naturopathic Medicine…No matter what you call it, as healthcare continues to transform, Emerson Ecologics is dedicated to the continued emergence of natural healthcare and wellness. Their determination for quality and efforts to benchmark industry quality standards earned Emerson Ecologics the distinction of the American Association of Naturopathic Physicians (AANP) 2011 Corporation of the Year. *Rely on Emerson Ecologics as your one-stop source for products you can trust, the resources you need, and the services you deserve for optimal patient health solutions. Scientists have found the ticking biological “clock” that may offer clues on aging and longevity: telomeres. The health of your DNA’s telomeres could mean the difference between living a longer life versus living life to its fullest with a feeling of youthful health and vibrancy. 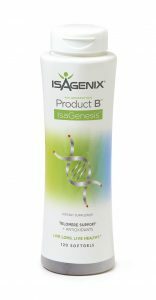 *Product B Antioxidants plus Telomere Support from Isagenix targets the cause of accelerated aging by protecting telomeres and fighting the effects of free radicals and oxidative stress. *Go beyond surface symptoms to target the ultimate causes of aging. Now in its third generation and with more action than the original, Product B is the youthful aging catalyst you’ve been waiting for. *Choose Product B today and start experiencing the benefits of youthful cell function and healthy telomeres! Order now!